Draft: 2006, St. Louis Cardinals, 1st rd. 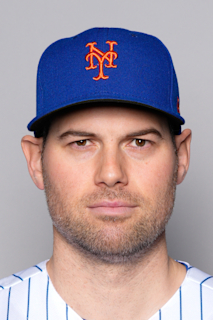 Full name is Adam Robert Ottavino…is married to Brette…the couple has two daughters, Bradley and Oakley...Will be the first player in franchise history to wear No. 0...Grew up a Yankees fan in Park Slope, Brooklyn…played baseball in the 78th Precinct Youth Council Little League and graduated from the Berkeley Carroll High School in Brooklyn in 2003…was in attendance at Yankee Stadium for David Wells' perfect game in 1998. 148...His mother, Eve, is an elementary school teacher at P.S. 39 in Brooklyn…his father, John, is an actor who has appeared on Broadway and in movies and television shows, including 17 episodes of Law & Order and Law & Order: SVU…his father also coached Adam's baseball teams while he was growing up and now serves as an umpire for youth and high school games throughout New York City…more than 100 years ago, his paternal great grandfather, Adamo Ottavino, founded the A. Ottavino Corporation, a stone and granite company that has restored several buildings in Manhattan...Attended Northeastern University…was the second-highest Major League draft pick in Northeastern history behind Carlos Peña (10th overall by Texas in 1998)...Is an avid photographer and documented his "Tommy John" surgery rehab for The Players' Tribune. Went 6-4 with six saves and a 2.43 ERA (77.2IP, 21ER) in 75 relief appearances with Colorado, setting a career high in wins and surpassing 100K for the first time in his career…opponents batted .158 (41-for-260, 5HR); LH .179 (20-for-112, 2HR), RH .142 (21-for-148, 3HR)…retired 53-of-75 first batters faced (70.7%)…allowed 3-of-18 (16.7%) of inherited runners to score...His 112K ranked second in the NL and fourth in the Majors among relievers, and set a new Rockies' single-season record for strikeouts by a reliever (previous: Curtis Leskanic, 107K in 1995)…among NL relievers, ranked fifth with a .158 opponents' BA and 36.2% strikeout rate (112K/309BF), tied for fifth in appearances (75) and tied for sixth in innings pitched (77.2)...Held opponents scoreless in 60-of-75 appearances…had multiple strikeouts in 36-of-75 appearances, including at least 3K in 12 of his games...Over his first 18 appearances from 3/29-5/6, posted a 0.47 ERA (19.0IP, 1ER) with 35K (5H, 6BB, 2HP)...Had a 15.0-inning scoreless streak over 14 appearances from 5/11-6/26...Was placed on the 10-day disabled list from 5/28-6/14 with a left oblique strain...Made his postseason debut, going 0-1 with a 4.91 ERA (3.2IP, 2ER) over three relief appearances…took the loss in NLDS Game 1 at Milwaukee after allowing a "walk-off" RBI single to Mike Moustakas in the 10th inning. Made 63 relief appearances, the second-most on the club, in his first full season since undergoing Tommy John surgery in 2015...Scored upon 17 times in 63 appearances, six times in 27 appearances after the All-Star break...Was 1-3 with a 5.74 ERA (31.1 IP, 20 ER) in 37 first-half appearances, 1-0 with a 4.09 ERA (22.0 IP, 10 ER) in 27 appearances in the second half of the season...Walked a career-high 39 batters, a 6.58 walks per nine innings that ranked second among National League relievers...Was third on the club with a 10.63 strikeouts per nine innings rate … ranked first on the team and tied for the ninth in the National League with 21 holds...Allowed six earned runs June 25 at Los Angeles-NL, his most since allowing a career-high seven earned runs on Sept. 16, 2012 at San Diego … his four wild pitches in the game tied the Rockies franchise record...Was placed on the 10-day disabled list on May 30 with right shoulder inflammation … reinstated on June 9. Returned from Tommy John surgery on July 5 and went 1-3 with a career-high seven saves in 34 relief appearances...Made his first appearance of the season on July 5 at San Francisco after being reinstated from the 60-day disabled list prior to the game … underwent Tommy John surgery May 7, 2015...Did not allow a run in his first 21 games of the season … did not allow a run in 37 consecutive games from Sept. 7, 2014 to Aug. 24, 2016, the longest streak in Rockies history and the second-longest streak by games in MLB history (Craig Kimbrel, 38 games, June 14-Sept. 8, 2011)...Allowed a run in five of 34 appearances overall...Win on Sept. 16 vs. San Diego was his first since April 22, 2015...Allowed five runs Aug. 31 in the second game of the doubleheader vs. the Dodgers … was his first loss since Aug. 15, 2014 and his most runs allowed since a career-high seven on Sept. 16, 2012 at San Diego … grand slam to Andrew Toles in the ninth inning was his first home run allowed since Aug. 29, 2014 at Arizona, a stretch of 35 innings without allowing a home run. Began the season with a 10.1 inning scoreless streak across 10 appearances prior to undergoing Tommy John surgery May 6. Was placed on the 15-day disabled list April 27 with right triceps inflammation. Allowed no runs in 15 games dating back to Sept. 7, 2015 (13.2 IP, 5 H, BB, 17 SO). Recorded a .094 (3-for-32) opponent batting average. Earned his one win of the season April 22 against San Diego. Moved into the closer's role April 14 and struck out all three batters in the ninth inning at San Francisco to earn his second Major League save, his first since July 30, 2014 at Chicago-NL ... also recorded a save April 15 to earn saves in consecutive appearances for the first time in his career. Spent the entire season on the Rockies Major League roster, appearing in a career-high 75 games...the 75 games led the squad and were tied for the fourth-most among National League relievers...went 1-4 and a save with a 3.60 ERA (65.0 IP, 26 ER)...walked 17 compared to 70 strikeouts...he added 21 holds, which also led the team...Opened up the season with a 13-game scoreless streak that spanned 11.1 innings...allowed just six hits and one walk while striking out 15 in that span...it was the fourth longest game streak by a Rockies reliever to open up the season, longest since Randy Flores went 16 scoreless games to open up 2010...Through the first two months of the season, Adam carried a 1.80 ERA (25.0 IP, 5 ER), three walks and 25 strikeouts in 28 games...his ERA was eighth-best among NL relievers with at least 25 games...Allowed 14 earned runs in June, which was 13 games, for an ERA of 10.80 (11.2 IP, 14 ER)...in the other five months, had a combined 2.03 ERA (53.1 IP, 12 ER)...Had tremendous success on the road, with a 2.37 ERA (30.1 IP, 8 ER), seven walks, 33 strikeouts and a save...held opponents to a .237 average (25-for-108)...Recorded his first career save on July 30 at Chicago-NL in the Rockies 6-4, 10-inning victory...the day after a 15-inning game, Colorado plated two runs in the 10th as Ottavino pitched a scoreless bottom half (1 H, 1 SO) to preserve the win...Over the course of the season he had just 16 walks...it was the 6th time in Rockies history that a pitcher pitched in 75 or more games, but walked 20 or less in a single-season...he was one of 3 MLB pitchers to accomplish that feat in 2014 (Joe Smith-76 G, 15 BB; Tony Watson-78 G, 15 BB). Spent the entire campaign with the Rockies and went 1-3 with a 2.64 ERA (78.1 ip, 23 er) in 51 games...his 51 appearances were 2 shy of tying a career high 53 set in 2012... 2013 marked his first Opening Day roster appointment... 42 of his 51 games were 1.0 innings or longer and had 24 appearances of 2.0 innings or more... Led the National League with 24 relief games of 2.0 innings or more...trailed MIN's Anthony Swarzak (26) for the Major League lead... His 24 appearances of 2.0+ innings in relief are a Rockies single season record, surpassing Curt Leskanic (1995) and Jerry Dipoto (1999) who held the record with 22 games...was 1-0 with a 1.70 ERA (53.0 ip, 10 er) in those 24 games... Had his third 3.0-inning game on 9/1 vs. CIN to earn his only win of the season (3.0 ip, 3 h, 0 r)... Ottavino was 1-1 with a 2.31 ERA (74.0 ip, 19 er) in appearances of 1.0 inning or more (42 g)...his 2.00 ERA (45.0 ip, 10 er) at Coors Field led all Rockies relievers. Was acquired off waivers from St. Louis 4/3 and was assigned to Triple-A Colorado Springs...was recalled 5/5 and madetwo perfect outings (2.2 ip, 0 h, 0 bb, 4 k) before being optioned...recalled a final time for the remainder of the season5/20...made 53 total appearances and tossed 79.0 innings, all in relief. Made 25 appearances of more than 1.0 inning...in those 25 went 5-0 with a 2.13 ERA (55.0 ip, 13 er), 20 walks and 52strikeouts while holding opponents to a .202 (40-for-198) average...tossed 3.0 ip six times. Struckout 81 batters on the season, a mark that was 3rd-most among all Rockies behind only Brothers and Pomeranz(83)...had multiple strikeouts 25 times...his 9.2 K/9.0 IP was also 2nd-best among Rox. His 79.0 innings pitched were the fourth-most relief innings in the National League, though he was third on the club asJose Roenicke (88.2 ip) and Matt Belists (80.0 ip) each had more. Allowed just one run over his first 13.0 ip (12 outings)...in that same span struckout 15 (10.4 K/9.0 IP) and walked justtwo...his 81 strikeouts were tied for the 12th-most among NL relievers. Went 3-0 with a 1.14 ERA (23.2 ip, 3 er) and a .141 opponent average in the month of August, the most innings andlowest average against among all Rockies relievers in August. Before joining the Rockies had just two career relief appearances, and three career starts. Went 0-0 with a 3.20 ERA (19.2 ip, 7 er) in 13 games, all in relief, at Triple-A Colorado Springs. Spent the entire season at Memphis (AAA), making 26 appearances, starting 25...Induced 20 double plays, a career best, ranking 2nd on the Memphis squad behind Cory Rauschenberger (21)...Ranked 6th among Cardinals minor leaguers in innings pitched (141.0), 8th in strikeouts (120) and T3rd in games started (25)...Tied his career-best by striking out a season-high nine batters twice, both coming in starts at Iowa on April 17 and June 23...Made 10 quality starts, reaching a season-high of 7.0 IP on five occasions, holding opposition to one run or less in four...Posted a strong April with a 1.93 ERA in four starts (23.1 IP/24 K)...Won his last four decisions, going 4-0 in August and September to pull his season record to 7-8...Held opposing batters to a .196 BA (33-168) with runners in scoring position...Made one relief appearance (5/25 at Salt Lake) following a Mitchell Boggs start, tossing 3.1 IP and allowing six runs (3 ER). Began the season at Memphis (AAA) and made his Major League debut in May, but spent most of the season on the disabledlist dealing with a right shoulder strain. ... Pitched in five games for St. Louis making three starts, going 0-2 in his starts. ... Posted a 5-3 record with a 3.97 ERA in nine starts at Memphis (AAA), winning his last three starts. ... Recalled on 5/29 and made his Major League debut that day at Wrigley Field, throwing a season-high 5.2 IP in a 5-0 loss. ... Made two more starts before being optioned to Memphis on 6/13. Was recalled again on 6/25 and appeared in two games inrelief before landing on the disabled list. ... Logged 4.1 IP in relief on 6/27 at KC, a season high for a Cardinals reliever. ... Was placed on the 15-day DL on 7/4 with a right shoulder strain, then transfered to the 60-day DL on 8/16. ... Was activated from DL on 9/29 but did not pitch in the team's final five games. Made one start for Italy in the World Baseball Classic vs. VEN (3/10) threw three scoreless innings (1 H, 1 BB, 3 SO)...Led Cardinals minor leaguers with 27 games started, fifth in innings pitched (career-best 144.0), T-2nd with 119 strikeouts and T-8th with seven wins...Began season with nine consecutive losses, but finished strong posting a 7-3 record beginning on July 10...Started win streak with 8.1 scoreless innings of four-hit ball vs. ABQ (7/10), walking one and fanning seven in the win...Opposing batters hit just .197 (14-71) with RISP and two outs...Earned second round playoff win vs. SAC (9/16) tossing six innings while tying a career-best nine strikeouts (5 H, 2 R, 3 BB). Made 24 starts for Springfield, his first experience atDouble-A level. Went 0-3 in his four April starts before landing onthe DL 4/29 with right shoulder inflammation...came off the DL on5/10 and made three starts in May. Made five starts in June andwas 1-0 with a 3.27 ERA, his best month of the season...battershit just .215 (17-79) with runners on and two out and only .196 (11-56) with RISP and two outs...pitched for Peoria in the Arizona FallLeague. Made eight starts and went 3-1 with a 6.17 ERA. Spent the entire season atPalmBeach, earningmidseasonand postseason Florida State League All-Star honors... ranked2nd in the FSL with aPalmBeach franchise record12 wins and 3rdwith a 3.08 ERA and 128 strikeouts...his 27 starts ranked tied for2nd-most in the league (Tyler Norrick 1st with 28)...went 9-3 witha 2.73 ERA (82.1 IP / 25 ER) in 14 starts after the FSL All-Starbreak...won six straight decisions spanning eight starts from 6/20-7/28 (2.23 ERA)...named Florida State League Pitcher of theWeek for 6/25-7/1 as he tossed 14 shutout innings over twostarts...limited opponents to a .195 (29-for-149) batting averagew/runners in scoring position and .150 (9-for-60) BA w/runners inscoring position and two outs...pitched the top of the 3rd inningof the Florida State League All-Star Game and allowed a run ontwo hits while fanning one...rated the Cardinals 6th-best prospectby Baseball America. Did not allow an earned run in his first 19.2 professionalinnings pitched...named New York-Penn League Pitcher of theWeek for 7/3-9 when he won two starts without allowing anearned run in 12.1 IP while fanning 11. January 24, 2019 New York Yankees signed free agent RHP Adam Ottavino. October 29, 2018 RHP Adam Ottavino elected free agency. June 14, 2018 Colorado Rockies activated RHP Adam Ottavino from the 10-day disabled list. May 28, 2018 Colorado Rockies placed RHP Adam Ottavino on the 10-day disabled list. Left oblique strain. October 5, 2017 Colorado Rockies activated RHP Adam Ottavino. October 4, 2017 Colorado Rockies reassigned RHP Adam Ottavino to the minor leagues. June 9, 2017 Colorado Rockies activated RHP Adam Ottavino from the 10-day disabled list. May 30, 2017 Colorado Rockies placed RHP Adam Ottavino on the 10-day disabled list. Right shoulder inflammation. July 5, 2016 Colorado Rockies activated RHP Adam Ottavino from the 60-day disabled list. June 21, 2016 Colorado Rockies sent RHP Adam Ottavino on a rehab assignment to Albuquerque Isotopes. June 9, 2016 Colorado Rockies sent RHP Adam Ottavino on a rehab assignment to Modesto Nuts. November 6, 2015 Colorado Rockies activated RHP Adam Ottavino from the 60-day disabled list. May 20, 2012 Colorado Rockies recalled Adam Ottavino from Colorado Springs Sky Sox. May 9, 2012 Colorado Rockies optioned Adam Ottavino to Colorado Springs Sky Sox. May 5, 2012 Colorado Rockies recalled Adam Ottavino from Colorado Springs Sky Sox. April 3, 2012 Colorado Rockies claimed RHP Adam Ottavino off waivers from St. Louis Cardinals. April 3, 2012 Colorado Rockies optioned Adam Ottavino to Colorado Springs Sky Sox. March 20, 2012 St. Louis Cardinals optioned RHP Adam Ottavino to Memphis Redbirds. November 18, 2011 St. Louis Cardinals selected the contract of Adam Ottavino from Memphis Redbirds. January 14, 2011 St. Louis Cardinals invited non-roster RHP Adam Ottavino to spring training. November 19, 2010 St. Louis Cardinals sent Adam Ottavino outright to Memphis Redbirds. September 29, 2010 Adam Ottavino roster status changed by St. Louis Cardinals. August 17, 2010 St. Louis Cardinals transferred RHP Adam Ottavino from the 15-day disabled list to the 60-day disabled list. June 25, 2010 St. Louis Cardinals recalled Adam Ottavino from Memphis Redbirds. June 25, 2010 St. Louis Cardinals activated RHP Adam Ottavino. June 14, 2010 St. Louis Cardinals optioned Adam Ottavino to Memphis Redbirds. May 29, 2010 St. Louis Cardinals recalled Adam Ottavino from Memphis Redbirds. March 27, 2010 St. Louis Cardinals optioned Adam Ottavino to Memphis Redbirds. November 18, 2009 St. Louis Cardinals selected the contract of Adam Ottavino from Memphis Redbirds.